ACES HIGH: Junkyard’s latest album — it’s first in 26 years — is already one of the best releases of 2017. 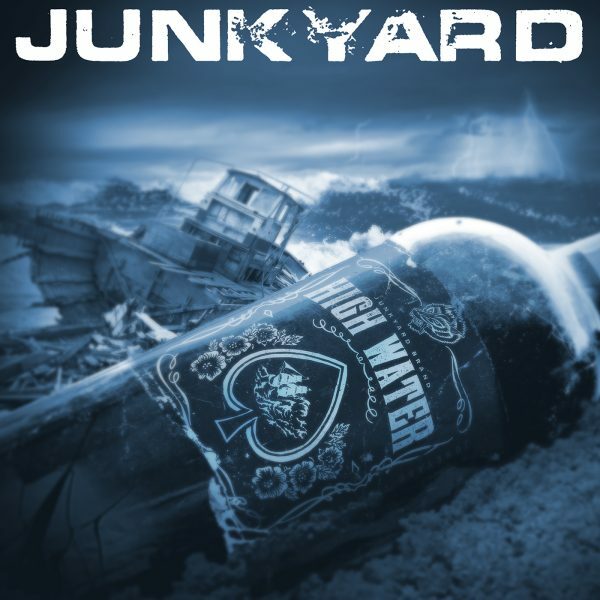 Junkyard’s first album in more than two decades will almost certainly finish the year in my Top 3. Hell, it might even score Numero Uno. As I wrote in my review, “High Water” picks up right where the band left off with its two major-label releases beginning in 1989. Rebuilt for 2017 and riding a crest of rave reviews, Junkyard is wrecking stages across the nation on a tour that’s kept the band busier than ever. I caught up with 3/5 of Junkyard in Austin where we discussed “High Water,” the pitfalls of major labels, an early tour with the Black Crowes, a kinship with Axl Rose and that time an eager James Hetfield showed up to check out this promising young band (kinda). and Jim Daeng Ostrandeer at Texas Mist for interview location and hospitality. That was killer bro! best one yet! !